Keep a complete record of each students’ work, marked automatically line-by-line. Drill down by class or by student right down to each step of every problem. Mathspace’s adaptive learning technology analyzes real-time data from thousands of questions at the step-level to automatically select the most appropriate problems for your students. 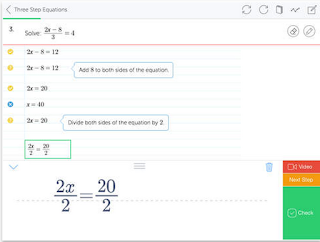 Mathspace comes with a built-in, printable e-textbook loaded with thousands of videos, geogebra applets and 15,000+ questions — all with full worked solutions. Target specific learners by creating an unlimited number of groups within your class with our one step class codes. Write seamlessly on tablets/mobiles with our highly accurate handwriting recognition or use our intuitive typing interface on a laptop. 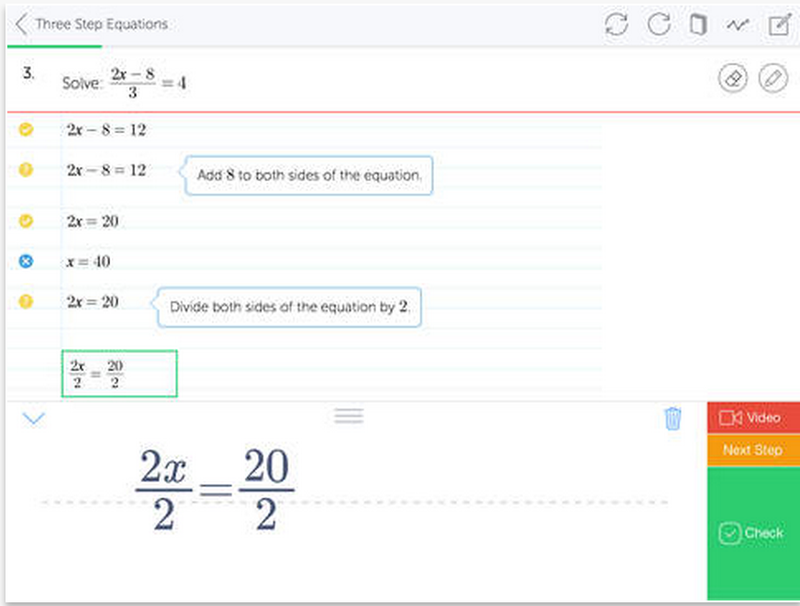 Mathspace is also available for iPad, Android and Windows.